Remember that you can visit our website to consult our general list of international conferences, which offers the latest news and updates concerning terminology, translation, interpretation, language technology, lexicography and ontology. We also look through all the useful resources and tools available for professionals in these fields. This week we would like to recommend you a new book that has been added to our list of interesting E-books. 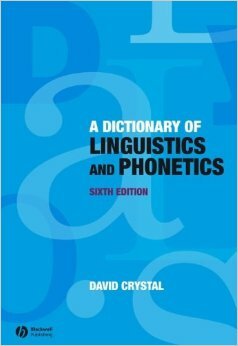 Here you can download the “Dictionary of Linguistics and Phonetics”, which contains lists of abbreviations and symbols, the International Phonetic Alphabet and alphabetical entries.